Funny how things work out. A few years ago when the creation of Copa MX was announced (in conjunction with a newly rebranded Liga MX), the new tournament was met with a steady stream of cynicism and criticism. It’s structure was a joke, we were told. Too many games, a point structure that was difficult to understand, and no one – no one would care. No one did care for the first couple of years. Can you name the winners of the first editions of Copa MX? It was going to take a team with a certain amount of cache to put Copa MX on the map. Sure, Cruz Azul won the thing a while back, but the tournament was still in the who cares stage. Last night, before a sellout crowd in Leon, Copa MX became a tournament worth caring about. Don’t believe me? 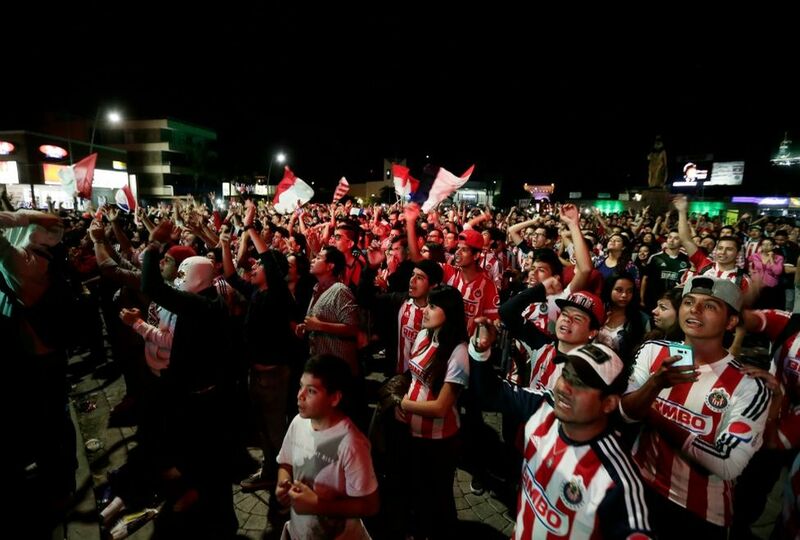 Ask the Chivas fans who celebrated at the Minerva monument last night in Guadalajara. After all, it had been 9 years – 9 YEARS – since Chivas had held any kind of hardware. But it wasn’t just the fans in Leon or the ones who celebrated in Guadalajara afterwards. It was also the players and coaches. Both sides played to win, had several chances to do so, and in the process rewarded everyone with an end-to-end tilt that was in stark contrast to the usual puckered, defensive-minded borefests that permeate most finals. There will be those who will minimize the final; can’t be a cynic otherwise, right? And, yes, the Copa MX could use some tinkering to streamline it to enhance the play on the field. But it is not going anywhere for now, so you might as well buck up and play it. Give your reserves some time on the track. Let your slumping stars work their way out of it. You might just right yourselves and win something along the way. If I were FMF King for a day, I would keep Copa MX for the Apertura, but I would go a different direction for the Clausura: north. I would add MLS and USL for a 78-team straight knockout to the final. 50 teams get a 1st round bye. And then a 64-team blind draw to the final. Whether folks from both sides care to admit it or not, both leagues need each other. This would be a great way to get them involved. Chivas and their fans can enjoy their win for about 24 hours. Then they will be reminded of their reality with a visit to Culiacan for a key 6-point battle with one of their drop-zone mates. But they can do so knowing they have finally added something more than dust to their trophy case. You left out the NASL. Some USL teams are prevented from participating in their own domestic cup, U.S. Open Cup, because they’re in a division 3 reserve league. It’s like saying that the Mexican 3rd division should be included in the U.S. Open Cup. Including mls or even the nasl could harm lower Ascenso MX clubs, if it meant replacing them with American teams. If Ascenso MX teams aren’t replaced, then it could really become a logistical nightmare by expanding Copa MX to fit American teams. So no, the Copa MX should stay as is. But I know Decio De Maria is salivating over creating another MX / US tournament, like the failed Superliga. The 78 teams includes Ascenso MX, I should have made that clearer. I did not include NASL because I am not so sure of the viability of the league, especially when one of its principals found himself under indictment. I am not so sure the logistics would be all that complicated. Not more so than having to deal with a CCL tie. It’s a cool idea, the problem is that mexican teams probably will not approve, why? Too many games, between concacaf champions league and libertadores … There are too many games, how do you insert “the north america’s super cup” in both mls and mexican league tourneys? Plus it needs the better mexican teams to be financially viable.